Studios released box office figures a day late this week out of respect for the victims of the shooting in Aurora, Colorado. Many writers who should be talking about movies have been talking about the tragedy instead. I won’t do that, because the last thing that event needs is more punditry, and the deaths of 12 people should not be made into a political issue. So let’s talk about movies. Top on the list of things nobody has ever said, ever: “‘The Dark Knight Rises,’ the last entry in Christopher Nolan’s epic Batman reboot trilogy, will not be the weekend’s number one movie.” Seriously, that was a foregone conclusion as soon as the Joker completed his bank heist in “The Dark Knight.” Rather the question was how much exactly the movie would make, and whether or not it would top the competition for the best opening of the year and the best ever opening by a superhero film. In this instance, of course, the two are one and the same. “The Avengers,” and its $207 million opening weekend, hold both honors, and in fact, the highest opening of all time as well, forget about costumed heroes. After this weekend, that’s still the case. But come on folks, not beating out the best opening weekend of all time isn’t exactly a slight. 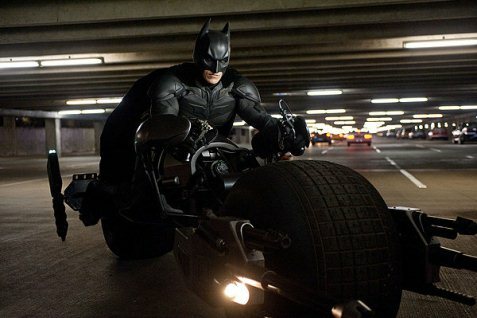 “The Dark Knight Rises” held its own with just under $161 million in its first three days. That might not be enough to beat out “The Avengers” but it is third best opening of all time. The only other film (besides “The Avengers”) to gross more domestically in in its opening weekend was “Harry Potter and the Deathly Hallows Part Two,” which raked in $169 million last summer. 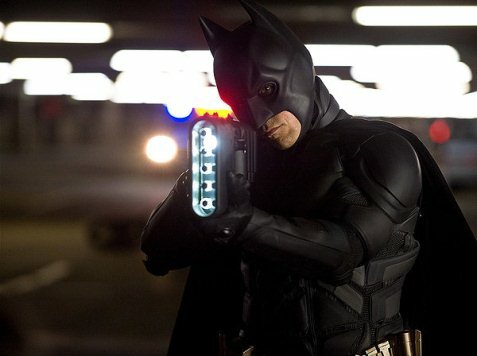 Things were tough for the films living in the shadow of “The Dark Knight Rises” this weekend. 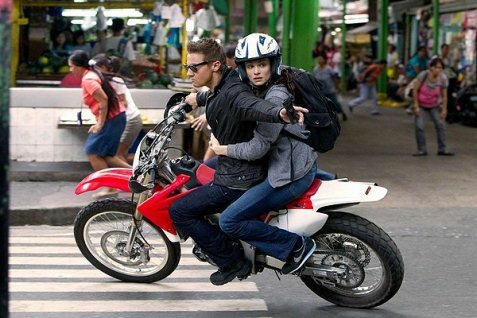 The weekend’s top ten films had dropoffs ranging from 46 percent (“Brave“) to 68.6 percent (“The Amazing Spider-Man“). Clearly, Spidey had a hard time keeping up with a new (and better) superhero flick entering the arena. “The Dark Knight Rises” alone actually grossed $100 million more than the second through tenth place films combined ($60.5 million). As a result of Nolan and co. sucking up all that revenue, the charts were once again extraordinarily static. Last week’s first through fourth place films (“Ice Age: Continental Drift,” “The Amazing Spider-Man,” “Ted,” “Brave”) each took a step back but remained in the same order. “Magic Mike” scooted past “Savages” (which fell from fifth to seventh) to remain in sixth place, while “Katy Perry: Part of Me’s” drop out of the Top 10 allowed “To Rome with Love” to come back into tenth, “Tyler Perry’s Madea’s Witness Protection” to take just one step back into eighth, and “Moonrise Kingdom” to stay entrenched in the ninth position. 1. 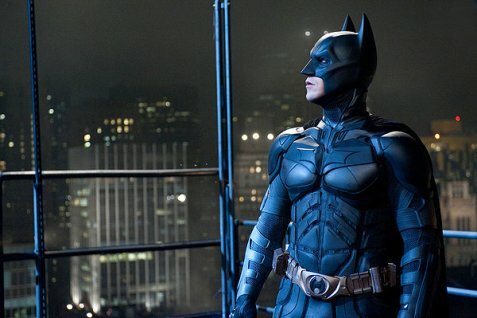 The Dark Knight Rises, 1/4,404, Warner Bros., $160.887 million. 2. Ice Age: Continental Drift, 2/3,886, Fox, $20.416 million, $88.84 million. 3. The Amazing Spider-Man, 3/3,753, Sony, $10.887 million, $228.611 million. 4. Ted, 4/3,214 Universal, $10.011 million, $180.431 million. 5. Brave, 5/2,899, Buena Vista, $6.024 million, $208.774 million. 6. Magic Mike, 4/2,606, Warner Bros., $4.291 million, $101.966 million. 7. Savages, 3/2,336, Universal, $3.398 million, $40.055 million. 8. Tyler Perry’s Madea’s Witness Protection, 4/1,540, LGF, $2.253 million, $55.611 million. 9. Moonrise Kingdom, 9/895, Focus, $1.831 million, $36.087 million. 10. To Rome with Love, 5/552, SPC, $1.42 million, $11.107 million.